*The Panthers’ softball team (20-3) faced defending champs Olathe Northwest (17-6) in the quarterfinals for the second year in a row and lost 6-4. *In the baseball quarterfinals against Olathe Northwest (15-8), the Panthers (17-6) won 5-0 to face Blue Valley Northwest (18-5) in the semifinals. Playing in the semifinal game for the second time in six years, Derby was close to the 6A state game but lost 4-3. 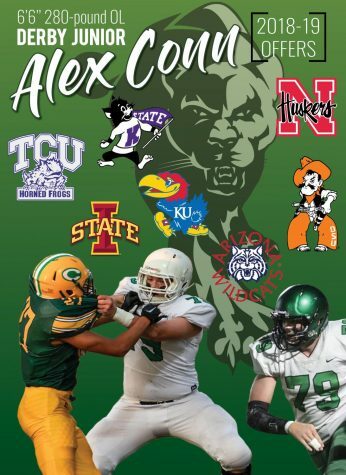 The Panthers would have played in the third place game, but it was canceled by the Kansas State High School Activities Association due to poor weather. *Girls soccer (14-4) faced Manhattan (14-4) in the state quarterfinals but the Panthers lost 3-0. 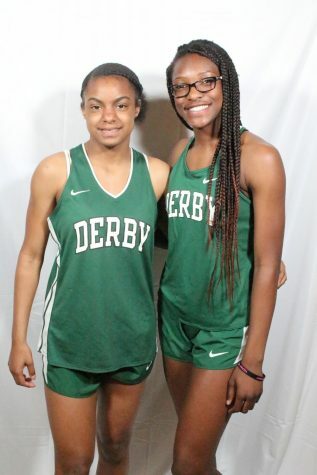 *State track was Friday and Saturday at Wichita State where 13 Derby athletes competed and 11 moved on to the finals. Aneesa Abdul-Hameed — sixth in the 400 meters. Megan Keil — 10th in the 800. Callie Hirschfeld and Jadyn Young — 10th and 12th injavelin. Tyler Brown — sixth in long jump, 12th in pole vault. Evan Clark — seventh in shot put, 14th n discus. Migc Aiyanyor — ninth in long jump. Skyler Sprecker, Bradon Unkel, Caleb Strohminger and Jonathan Jones — 10th in 3200 relay.